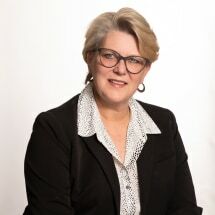 Mary Mahoney graduated from the University of Michigan and from the University of Detroit Mercy School of Law in Detroit. She was admitted to the bar and the U.S. District Court Eastern District of Michigan in 1988. 95% of Ms. Mahoney's practice involves litigation, which includes employment law, criminal cases, family law, and business transactions. Ms. Mahoney has also volunteered for the Detroit Jazz Festival, since 1991, and currently serves as Director of Transportation for the event.